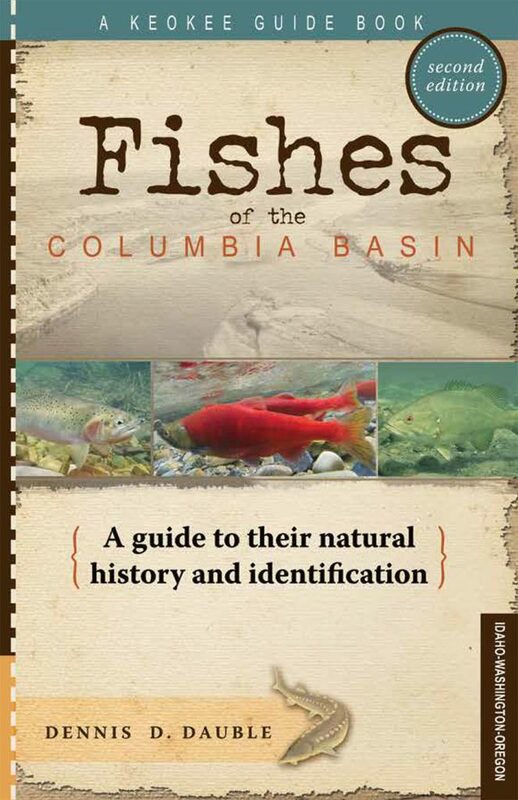 For anyone who has a natural curiosity about the abundant variety of fish species in the Columbia Basin, fisheries biologist and author Dennis Dauble answers familiar questions and delves into a variety of factors related to 60-plus species in the second edition of his guidebook, Fishes of the Columbia Basin. If you're on a quest for fishes and the places they live, Fishes of the Columbia Basin is an indispensable guide. The Great Columbia River Plain is a place unlike any other in the United States, with its steep river valleys, broad floodplains, rolling grassland and barren, rocky slopes known as scabland. Within this region are the streams, rivers and lakes that make up most of the interior Columbia Basin. These waterways support diverse fish populations. In Fishes of the Columbia Basin, fisheries biologist Dennis Dauble draws on more than three decades of professional experience and a lifetime as a fisherman to cover more than 60 fish species found in the region. Dennis Dauble grew up chasing minnows and crawdads in small creeks near his home in northeastern Oregon. He parlayed those habits into a 35-year career at Pacific Northwest National Laboratory to study the life history and ecology of resident and anadromous fishes from the Hanford Reach, habitat requirements of fall Chinook salmon, and fish passage issues at Columbia and Snake River dams. He has also had the opportunity to sample fishes in faraway places such as the irrigation canals of Italy and rios of Mexico. Dauble serves as an adjunct professor at Washington State University–Tri Cities. He earned a Bachelor of Science and doctorate in fisheries from Oregon State University and a Master of Science in biology from Washington State University. Current diversions include penning popular articles for regional fishing magazines and a regular column on the natural history of Columbia Basin fishes for the Tri-City Herald. He is also the author of The Barbless Hook. When not fishing for trout, steelhead, salmon and other fishes, he enjoys time spent restoring his vintage cabin in the Umatilla River valley and hanging out with his wife, Nancy, their two grown children (and respective spouses), and four grandchildren. Each grandchild caught his or her first trout on a fly rod during a summer stay at the cabin. Northwestern Outdoors Radio host John Kruse interviewed book author, biologist and educator Dennis Dauble in a segment airing on affiliate stations in Washington, Oregon, Idaho and Montana Sept. 6, 2014. Click on the clip below to hear Dennis Dauble give his opinion on why we are seeing huge returns of salmon coming up the Columbia and Snake Rivers the last two years.